Looking to invest or build in Ocala Florida? Our goal is to meet the needs of buyers looking to invest or relocate to the Ocala Dunnellon Inverness, Florida area. Our expertise, local knowledge and direct pricing is a key edge for any prospective buyer interested in buying land in our area. If you've watched real estate in areas like West Palm Beach and Pt. Saint Lucie skyrocket in value and missed the boat, here's your chance to buy into a great area at a very affordable price. Don't kick yourself in a year when these lots are selling for much higher dollars. The Ocala Dunnellon Inverness area is the perfect place to raise a family with great schools, a safe environment and plenty of things to do! 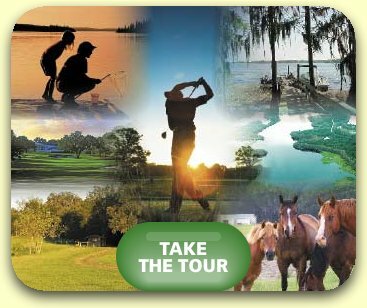 Amazing golf courses, picturesque horse ranches, beautiful state parks, and great fishing lakes make this the true hidden gem of Florida. All this and you are only an hour from Walt Disney World, SeaWorld, Universal Studios, Busch Gardens and Orlando Magic games. Don't give up anything, have it all! Looking for Commerce / Industrial / Business Lots? Prime building lots are still available! The time has never been better to buy land in Citrus and Marion county. Whether you are looking for the equestrian paradise of Ocala, the charm of the “old south” in Inverness, or the water playground of Dunnellon, it is still not too late to seize this real estate opportunity and get your piece of Florida today!